As far as I am concerned the best fishing in the Ranch is still ahead of us! When the cooler weather moved in the hopper fishing did slow down a bit but I think it’s far from over. It will warm back up. I have seen Mahoganies and BWOs but not in great numbers in the Ranch yet. I would still be on the look-out for a few Trico’s in the mornings and I would have a good supply of smaller terrestrials with you. Beetles and hoppers are very effective this time of the year. There are also still caddis around. The Big October Caddis will be showing up soon! I would also add that if you’re looking more for some solitude and not the crowds of summer then come to the Ranch in the fall. I have fished numerous days on the Ranch this time of the year and seeing another angler is rare. 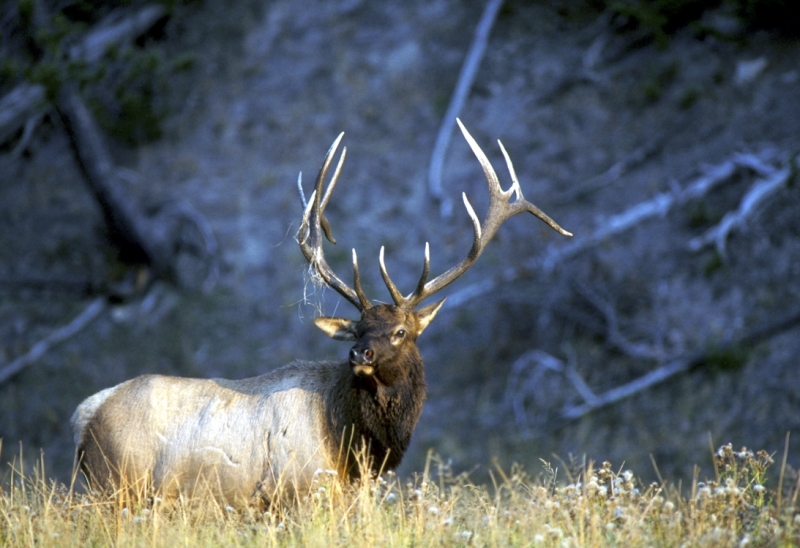 The bird life is amazing to watch and if you’re lucky you may even get to hear a bull elk bugle. The flow out of Island Park Dam is 420 cfs. That’s still floatable in a hard boat but you may leave some gel coat in a few spots. Don’t be afraid to leave the boat on the trailer and do some wading. I would stick with the same patterns I have mentioned in past reports. Small bead heads with some split shot will do the trick for you in the Box Canyon. The Lower River has been very good as of late. Over the last couple of days we have had some great dry fly activity. Look for BWOs and Mahoganies in good numbers in both the Chester backwater and Fun Farm backwater. I would also fish streamers form the Ora bridge on down. Look for fish on eating smaller nymphs from the Warm River access on down. This is also a great time of the year to start looking at the water below the town of St Anthony. As irrigation demand goes down this is another area that will not see the pressure the more popular sections of the river see. I would go loaded for bear on this section of water. I would have everything from hopper to BWOs to Mahoganies to caddis. Don’t forget a good selection of small beads heads. #18 Red Zebra Midges, #16 Black Rick’s Tungsten and #18 Bruised BWO nymphs to name a few. The beauty of the water water below St Anthony is you don’t really need a boat. The many channels are for the most part very wader friendly. Of course a little common sense is always a good thing to bring along with you when wading any river. The Teton is also coming alive! 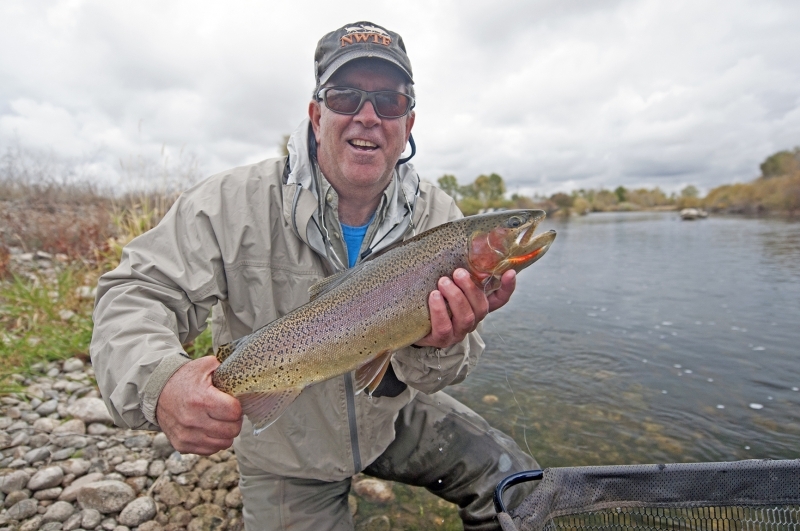 The guide trips on the Teton this week have had great success. Look for Mahoganies to show up mid-morning and on the right day the hatch will last for hours. A #16 Brook’s Sprout will do the trick for you during the emergence. Once you notice fish on the duns try a #16 Tilt Wing. You may also find Green Drakes on the Upper Teton this time of the year. I think your favorite green drake patterns will work fine. 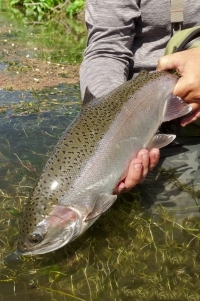 I have noticed that they are a bit darker on the Teton than they are up here on the ranch so if the fish are being picky a #10 or #12 Adam’s will do the trick. The Jackson One Fly is behind us. A good time was had by all and lots of money was raised for a great cause. On the fishing end of things there have been a few Mahoganies and Blue Wing Olives. A #10 Brown Rubbers Legs with A #16 or #18 Olive Zebra Midge will also work well. I would also have some streamers on hand. One of my favorite streamers this time of the year is an Olive Zonker. The South Fork is another one to keep a close eye on this time of the year. As things cool off this river can really be great. 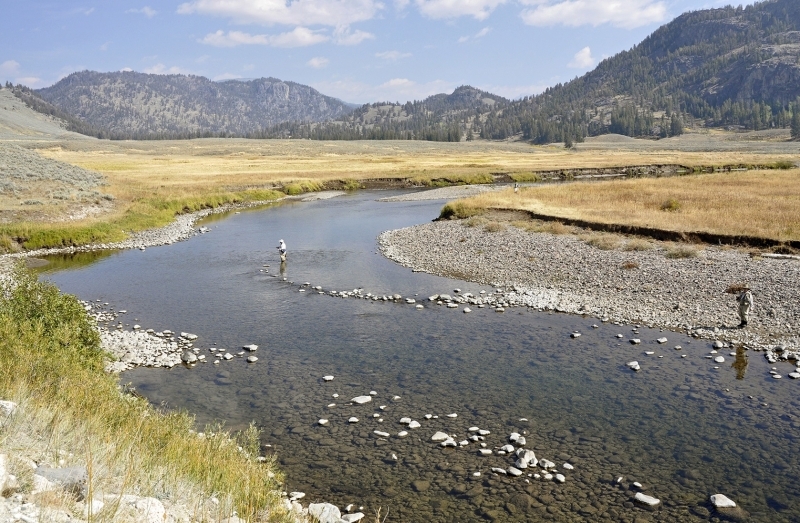 Riffles will come alive with large Cutthroat Trout picking off Blue Wing Olives and Mahoganies. Pay close attention to the top end of these riffles as this is where larger fish will concentrate. The Madison is where I would be right now if I was not sitting here! I would grab some streamers and head to the walk wade section between the Hebgen and Quake Lakes. 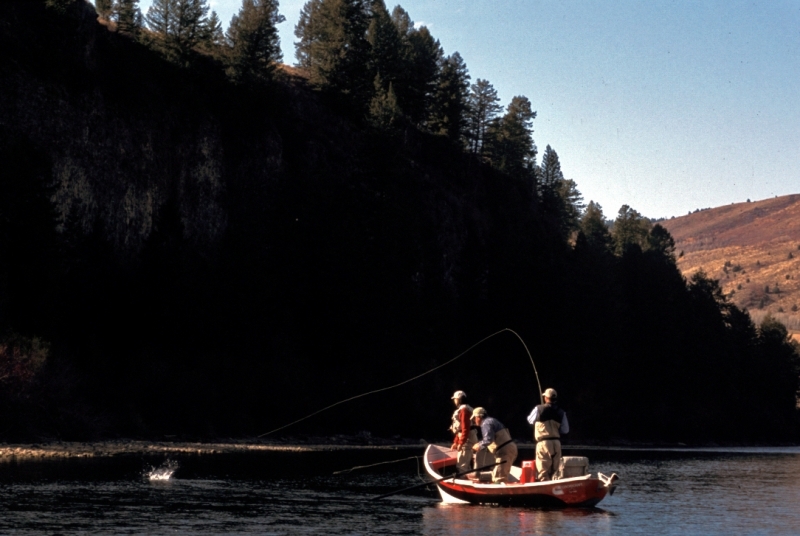 Some of the largest Brown Trout of the year are caught this time of the year and in this section of the river. Don’t write off the rest of the Madison. 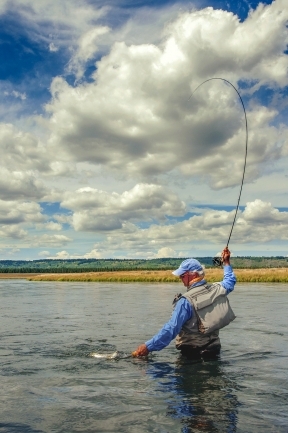 There is still some great hopper fishing as well as streamer fishing to be had. I would also have some small beads with you. A #16 Pheasant Tail with a #18 Olive Zebra Midge will work wonders for you. Also keep an eye out for rising fish. There has been some great Blue Wing activity on the Madison. The park has received the first good snow of the year. Yesterday there were some road closures throughout the park due to road conditions but as of today there should be no issues with most of the roads. The highway from Norris to Mammoth is closed for construction. For current information on road conditions in the park click on this link. Slough Creek and the Lamar River have been very productive with drakes and hoppers. The Madison in the Park has been fishing well and will only get better. I have also gotten great reports on the Firehole. Blue Wing Olives have started to show up and the trout are on them. I will be heading into the park this weekend with my sons and you can bet we will hit the Firehole. Henry’s Lake is improving day by day. 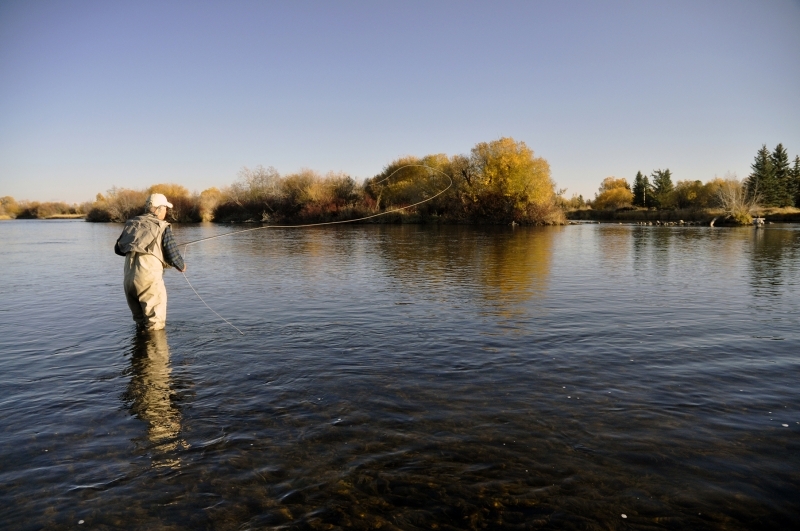 Look for the fishing to greatly improve around the state boat ramp over the next few weeks. The usual Sparkle Leeches and Scud patterns will serve you well.